With the release of Black Sabbath’s self-titled album in 1970, the genre of heavy metal was well and truly born. However, even in their infancy Sabbath had no problems creating compelling performances, even if the setting was a little strange as the video clip below demonstrates. Combining two separate live versions of songs that would feature on the band’s forthcoming second studio album Paranoid; The 5-minute video begins with “War Pigs” (with its original lyrics, from when the song was still named “Walpurgis.”) shot during the band’s Rock Circus appearance in Frankfurt on June 21, 1970. Followed by an early rendition of “Iron Man” that is unusually set inside of a boxing ring. 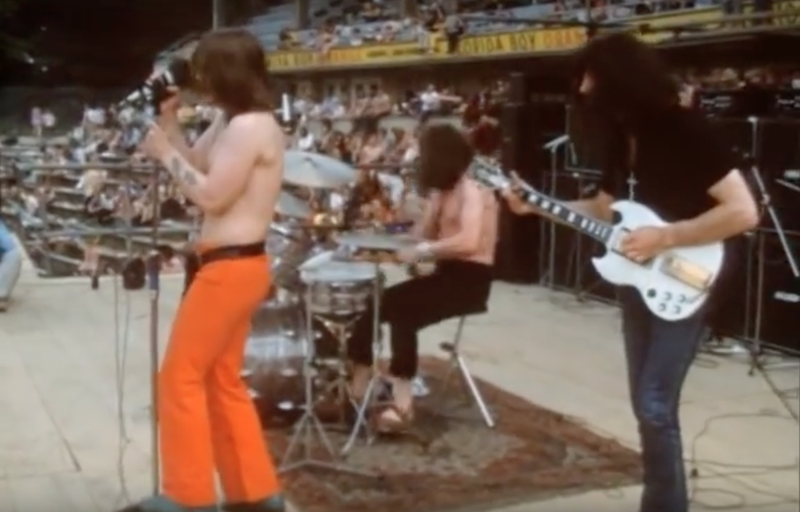 Throughout the video, on-screen text appears to disclose the performance fees charged by various bands at the time, with Sabbath charging 4,000 Deutschmarks per show, which would be around $1,100 in 1970. This is exciting footage in extremely clear sound and to this day still doesn’t surprise me that archival footage is still surfacing and becomming public. The Rock Circus material I haven’t even seen or heard of in audio trading circles so this was a real treat to see. The earliest Sabbath show currently is from Dumfries, Scotland in 1969 and of course the last Mythology show from 1968. Love the original lyrics when it was Walpurgis and Ozzy changed them practically every show give or take a line. The boxing ring footage was quite interesting and what passed for avant-garde film back then eh? Amazing finds and cheers for sharing!